Spin City is a smart, sophisticated ABC sitcom about the behind-the-scenes workings of City Hall in the biggest city in America. Workaholic Mike Flaherty (Michael J. Fox) is the Deputy Mayor of New York City, serving as Mayor Randall Winston's (Barry Bostwick, Rocky Horror Picture Show) key strategist and much-needed handler. Mike runs the city with the help of his oddball staff: an anxious and insecure press secretary (Richard Kind, Mad About You); a sexist, boorish chief of staff (Alan Ruck, Ferris Bueller's Day Off); an impeccably groomed gay activist running minority affairs (Michael Boatman, Arliss); a sharp and efficient, man-crazy accountant (Connie Britton, Friday Night Lights); and an idealistic young speechwriter (Alexander Chaplin). Like Mike, they are all professionally capable but personally challenged. Spin City was an immediate hit when it debuted in 1996. The series reunited Fox with Family Ties executive producer and creator Gary David Goldberg and proved that the magic of their creative partnership was enduring. I enjoyed watching this first season of Spin City. The actors were seemingly comfortable in their roles fast and developed great group dynamics. Great to see the guys again, but I must say I am rather disappointed with this special. Some fun ideas but nothing really original. The main plot device is essentially the same as "Delirious" with John Candy. Definitely a case of playing it safe, but I enjoyed it. You can't really blame them because they have no real idea if the audience was still there after all this time. But Delirious? Can't see it, for all the Bladerunner references! By the way, I do think the bit with the squid attacking the tank is one of the funniest damn things I have ever seen. Two-time Oscar-winner Hilary Swank stars in this gripping story of inner-city kids raised on drive-by shootings and hard-core attitude - and the teacher who gives them the one thing they need most: a voice of their own. Dropped into the free-fire zone of a school torn by violence and racial tension, teacher Erin Gruwell battles an uncaring system in a fight to make the classroom matter in her students' lives. Now, telling their own stories, and hearing the stories of others, a group of supposedly "unteachable" teens will discover the power of tolerance, reclaim their shattered lives and change their world. With electrifying performances from its all-star cast, including Golden Globe Award winner Patrick Dempsey (Grey's Anatomy) and recording star Mario, Freedom Writers is based on the acclaimed best-seller, The Freedom Writers Diary. An entertaining movie. Though wouldn't it have been for the fact that it is based on a true story, I would have said that it is full of clichés. This is one of those "new teacher gets the 'baddest' class but proves that their pupil are nice people if given the chance" movies. For me the Japanese TV series Gokusen perfected this theme, though that one is a comedy whereas this movie is a drama. 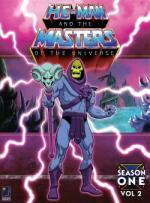 The battle for power continues on the world of Eternia! Join He-Man and the Masters of the Universe® as they battle against Skeletor and his crew of detestable villains in the greatest adventures ever told! These 32 episodes continue the saga of the most phenomenal stories ever created in animation! Relive the excitement as you enjoy the adventures of the universe's greatest warriors. The power has returned! After having it already for a few years, I finally came around continuing with the next volume of the classic He-Man series. I still enjoy watching it. Even though the animation is very limited, I like how much they got out of reusing a lot of stock footage. Filmation series are known to be animated completely in the US without out-sourcing to Korea or such. And having almost 70 episodes per season, it is such a great task that they managed to produce such a continuesly fun series that way. Also I never got tired of the He-Man theme music. I enjoyed this movie, even if it is bad. You can see, that the movie was supposed be more than it is. I think it mainly failed because of direction. A lot of the film has decent acting and decent direction. But then again comes a scene, where both acting and direction are horribly bad. 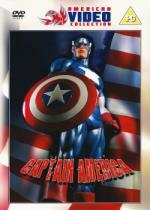 This was my first contact with the character "Captain America". I always thought it was a totally ridiculous character and could not understand why they are doing a new movie with him. But this movie hints that he could be an interesting character. I think the actor who played him did a good job. Other actors who have small roles: Ned Beatty (Otis from Superman, Ed Connor from Roseanne) as a reporter and best bud of the president. Bill Mumy (Lennier from Babylon 5) as the young version of General Fleming. I wish they would release that movie here! I would love to see it. I always liked the character of Captain America. It will sure re-ordered it this autumn, since I'm a little bit short of money I can buy only what I really want this summer. Tom I suppose that no restoration works was done for this movie and it's only a VHS tranfert? Pete, you can watch any dvd region on a computer with the good tools. Let me know the model number of your dvd reader I'm sure it's possible to make it zonefree (unless it's a Sony). I saw this movie once...it was pretty bad. 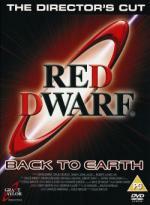 I had bought it used on VHS and I used to have video parties with friends of mine. They razzed me pretty good for making them watch it! Yes, it is a bad VHS transfer. Pete, I think this DVD is regionfree. I can check it this evening to be sure. I nice watch, but nothing really exciting. Michael J. Fox is fun to watch, but I think the movie could have been more. For some reason I had remembered it being a Bruce Willis vehicle, so I was a little disappointed when pulling the DVD from the shelves. I think this movie could have really been interesting, if it starred Michael J. Fox with Bruce Willis' McClane type of character. Acclaimed screenwriters including David Goyer (Batman Begins), Josh Olson (A History of Violence) and Alan Burnett (Batman The Animated Series) join forces with revered animation filmmakers on six spellbinding chapters chronicling Batman's transition from novice crimefighter to The Dark Knight. These globe-spanning adventures pit Batman against the fearsome Scarecrow, the freakish Killer Croc and the unerring marksman Deadshot. 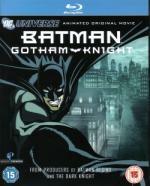 From some of the world's most visionary animators comes a thrilling depiction of Batman as man, myth and legend. I did not buy this release until now, because of what I have read about it, it didn't seem that I would enjoy it. But then I saw the trailer for it on the Wonder Woman Blu-ray I watched recently, and I thought it could be something I will enjoy. But sadly, it didn't quite work out this way. The animation quality varies, but all stories were rather boring. Batman done by anime directors may sound fitting, but I think they didn't quite catch the character. Though I never was a big fan of animated Batman. This Blu-ray contains four episodes of the 90's Batman animation series. I will watch those next. The first one I already watched. The story there is similar to the one in the first segment of the main feature. Of what I have read so far, one of the others is about Freeze. Another about Batgirl, where Commissionar Gordon, her father, finds out about her nightly activities (I am curious about that episode). Another about Batgirl, where Commissionar Gordon, her father, finds out about her nightly activities (I am curious about that episode). both Batman and Gordon are falling to death and it all turns out to be a nightmare by Barbara brought on by Scarecrow, as this is her biggest fear. She then decides to tell her father about Batgirl. It is alluded that he already knows and doesn't want her to actually tell him. I had the impression that this is because of conflict in interest (he is proud of her, but he mustn't officially know about this because she is a vigilante after all).